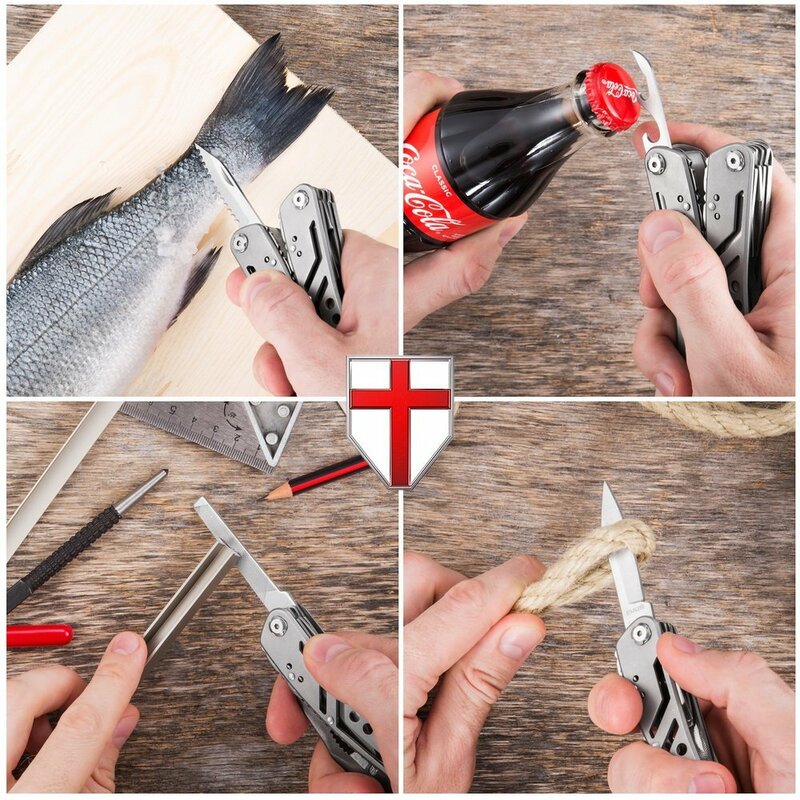 EDC Multitool with Mini Tools including knife, pliers, Swiss Army Knife and multi-tool kit. Have you ever faced the situation when you needed any tool to help you quickly fix or repair something indoor or outdoor? Most of us are facing this situation almost every day. 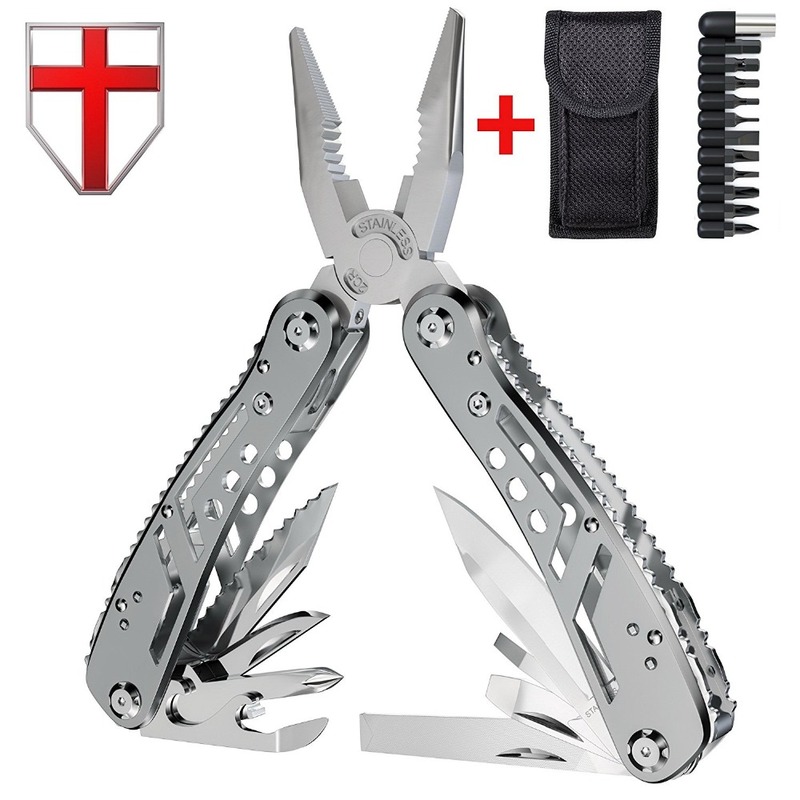 With this amazingly useful EDC Multitool you will always be prepared and have right tool in hand. 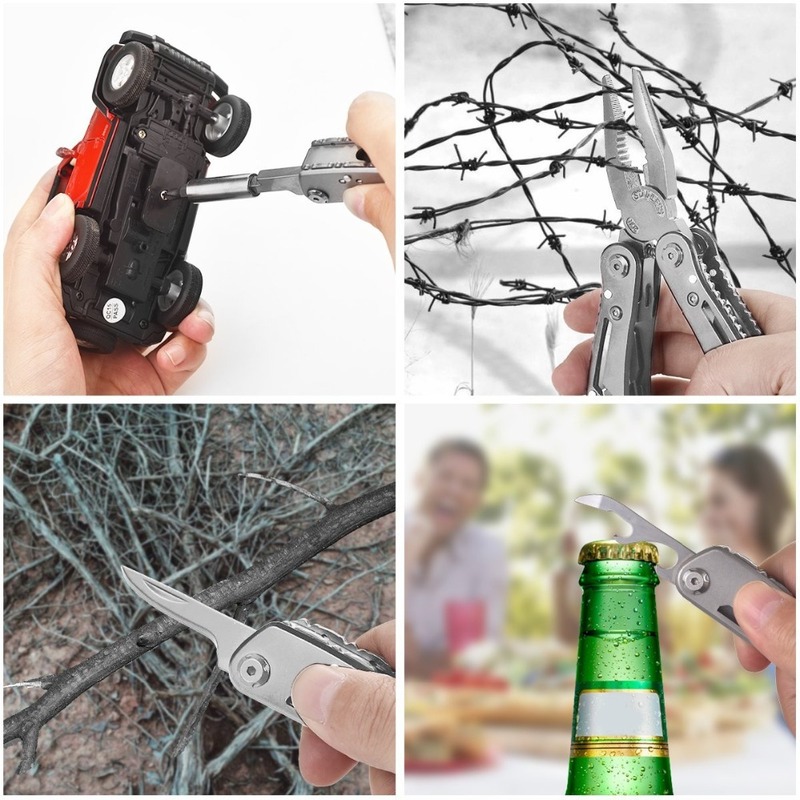 Spring loaded pliers, wire cutter and stripper, folding serrated and main blade knife, can and bottle opener, metal file, screwdrivers, 11 attachable bits with magnetic connector, scraper and awl. 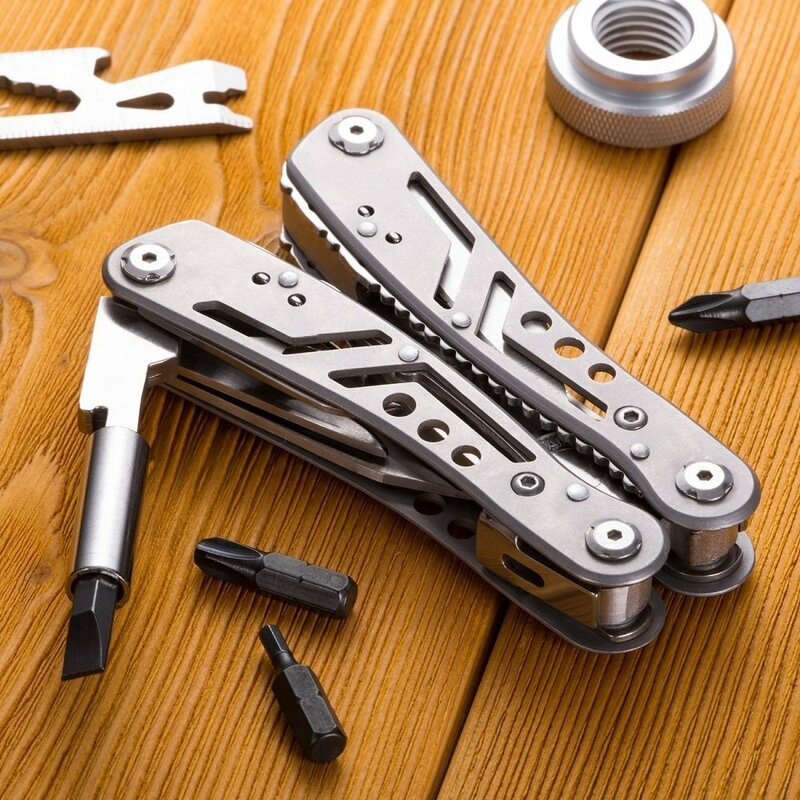 It is a true multifunction utility tool. 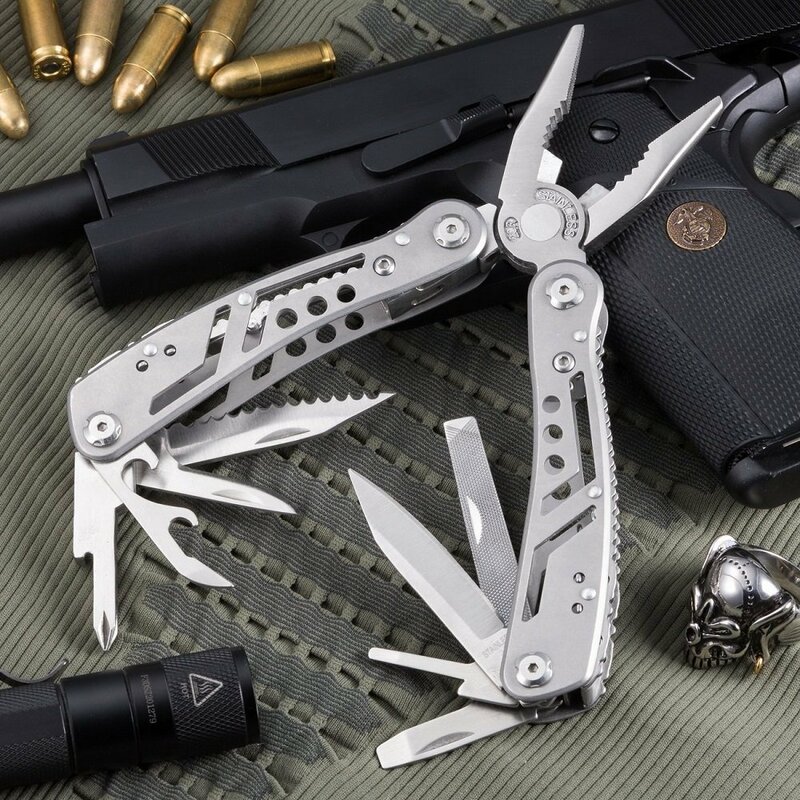 COMPACT MULTIFUNCTIONAL TOOL FOR ANY PURPOSE Camping, Hiking, Backpack, Hunting & Fishing, Military & Army needs, Outdoor & DIY Activities, Survival, Self Defense, Emergencies by carrying in a pocket, pouch or tool box. 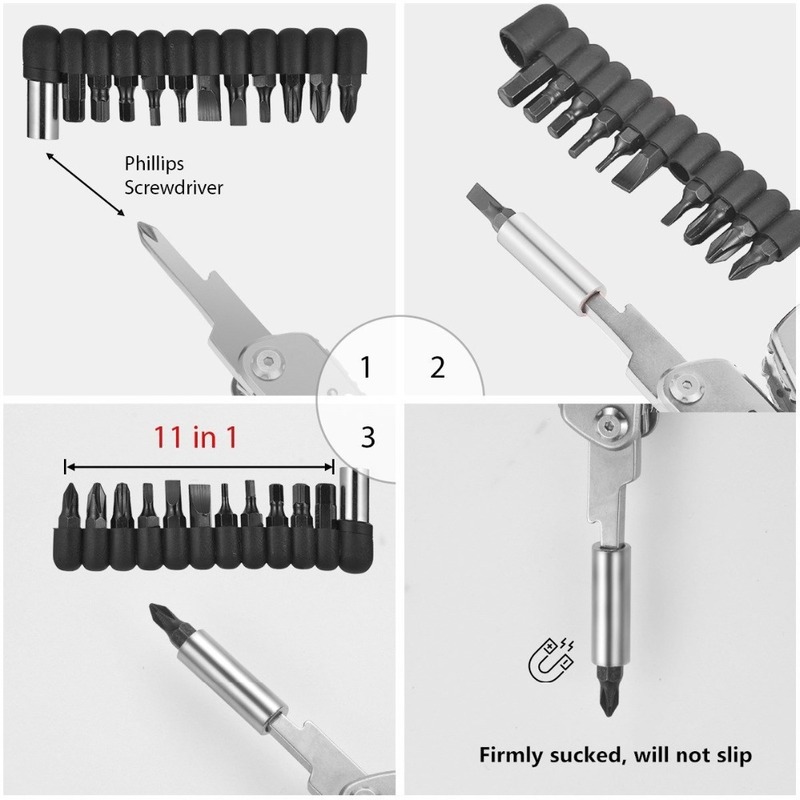 It is also easy to use as a car or bike repair tool and saves much space. 420 STAINLESS STEEL excellent balance of hardness and corrosion resistance ensures proper operation without sharpening. Provides razor sharp cutting performance and high durability. 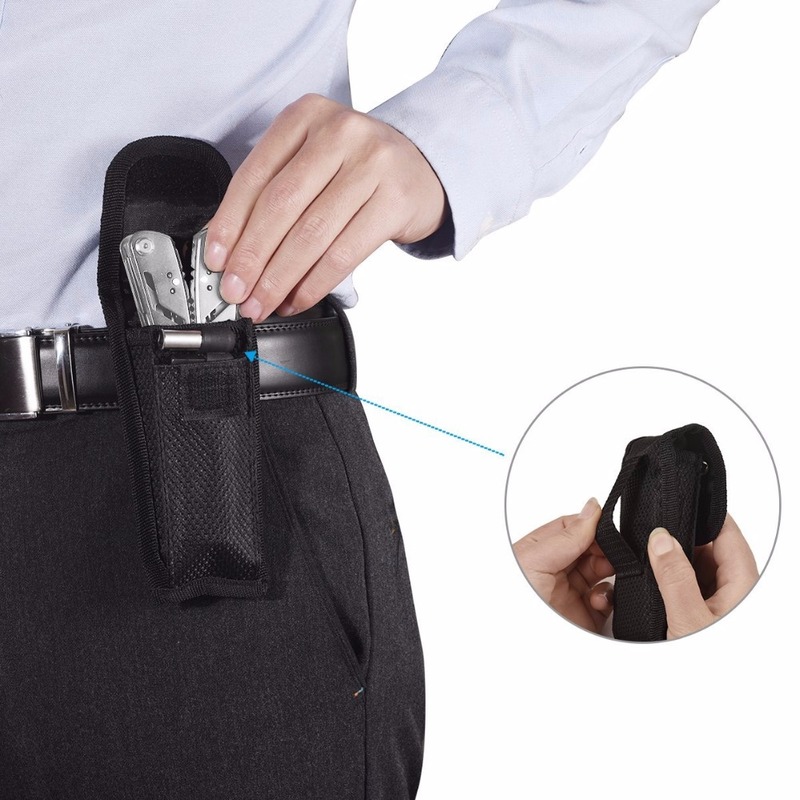 COMES WITH FREE SHEATH this solid and practical holder has a belt loop and is made of heavy duty cordura fiber. 100% MONEY BACK GUARANTEE – your new all-in-one tool is protected by Grand Way 10-year warranty. A perfect gift for men or women in your life.